Our stylish version of ancient amulet that brings good luck is presented by Hamsa Hand necklace! 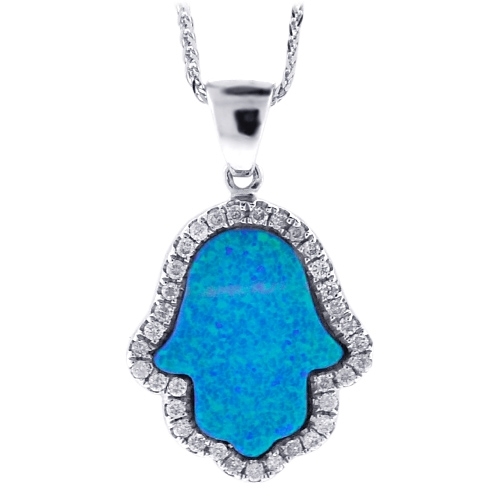 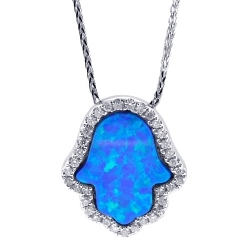 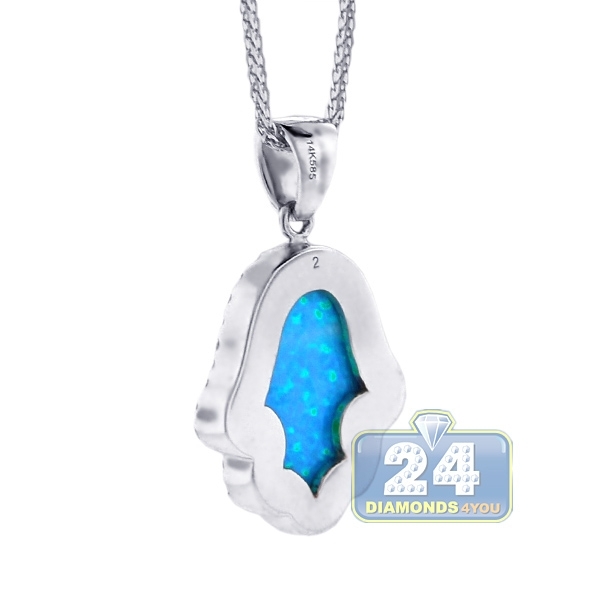 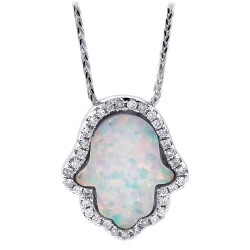 It's ably handmade of cool 14k white gold, and encrusted with natural blue opal in the center and white round brilliant-cut diamond on sides. 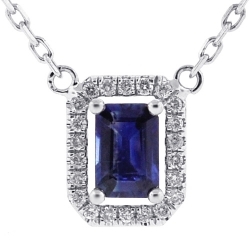 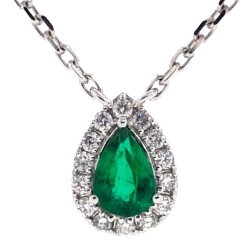 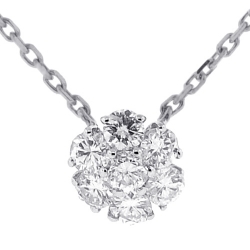 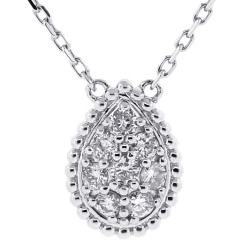 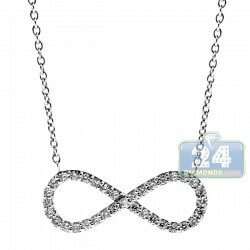 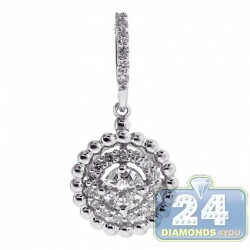 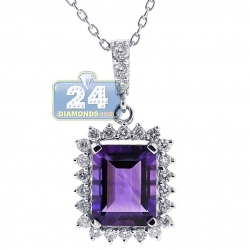 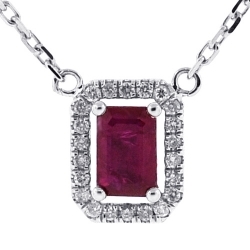 The charm has an elegant chain of 18 inches that can be adjusted for desired fit. 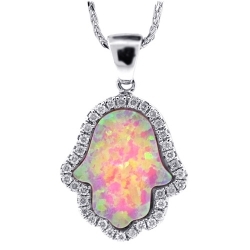 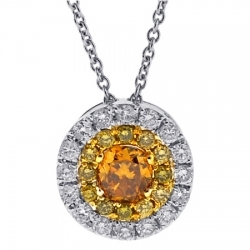 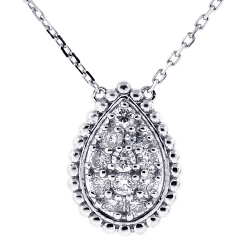 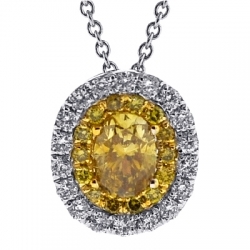 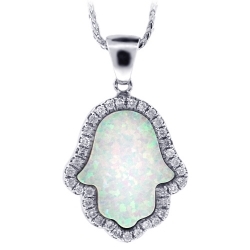 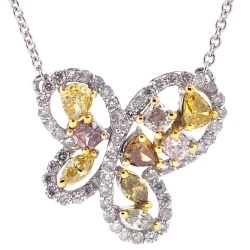 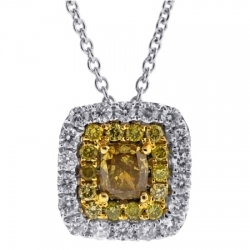 This amazing lady's pendant expands your style options!